Found 13 file extension associations related to Subtitle Workshop and 4 file formats developed specifically for use with Subtitle Workshop. Supports style tags (bold, italic, underline) and color tags in the subtitle text -- including full tags support for multiple tags in a single subtitle. 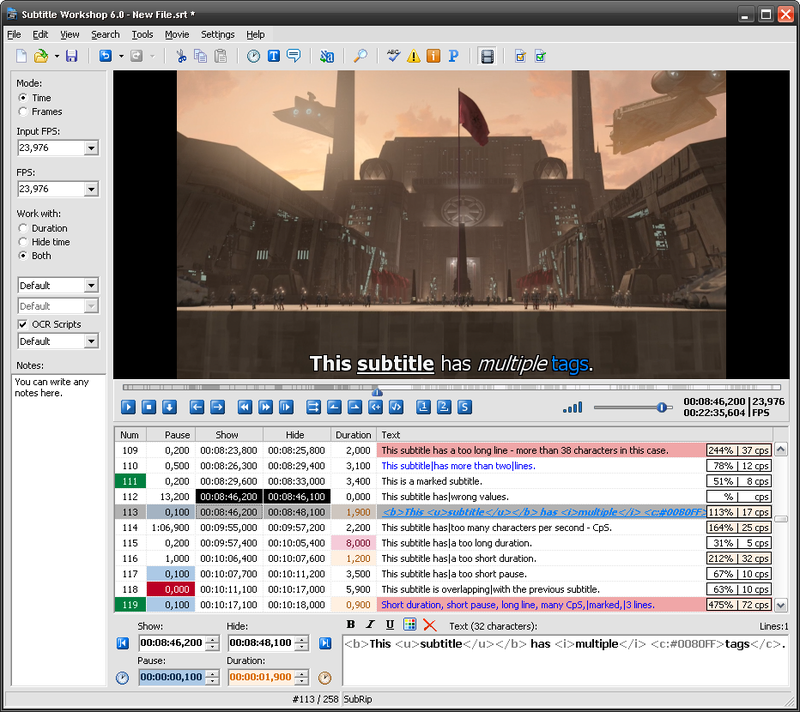 Offers various information about the subtitle file, including custom information based on user-defined rules about the timing or the text. Supports the usage of external Pascal scripts, as well as find-and-replace text scripts (called OCR Scripts). If you need more information please contact the developers of Subtitle Workshop (Subtitle Workshop team), or check out their product website.